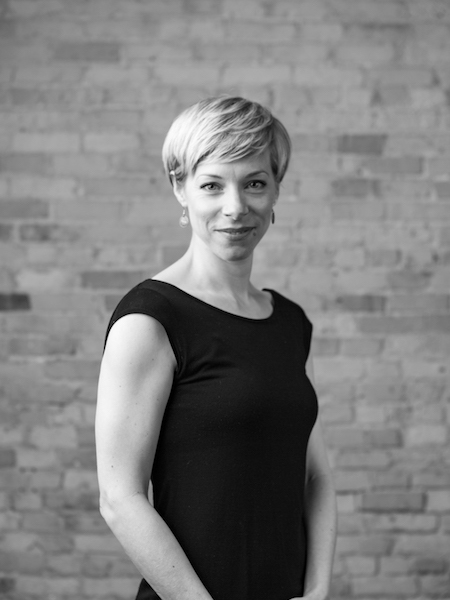 Dani Kuepper joined Danceworks Performance Company in 1998 and has since choreographed more than 30 dances for the company. As a Danceworker, she has enjoyed the opportunity to collaborate extensively in the Milwaukee community with established organizations as well as independent artists. 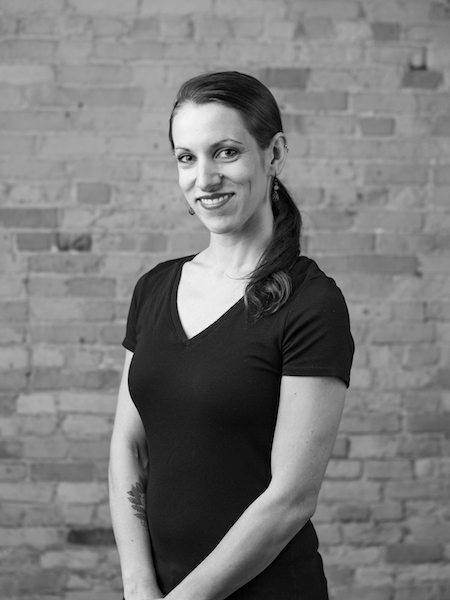 Dani received both her BFA and MFA from UW-Milwaukee, where she has been a faculty member of the dance department since 1999. As an undergraduate at UWM, Dani performed the solo, Mrs. Schultz, at the national American College Dance Festival at the Kennedy Center in Washington, D.C. She was honored in 2009 as a “Forty Under 40” recipient by the Business Journal of Milwaukee and also received the UWM Alumni Association Teaching Excellence Award for non-tenure track instructors in 2010. Melissa Anderson joined the company in 2002 and has previously performed with Milwaukee Ballet, Ballet Teatro Municipal de San Juan of Puerto Rico, Southern Ballet Theater (now Orlando Ballet) and Islenski Dansflokkurinn (Icelandic Ballet). Melissa teaches ballet at all levels at Danceworks, as well as at Nancy Dianne Studio and UW-Milwaukee. She frequently choreographs and teaches for dance organizations such as Chicago National Association of Dance Masters, Dance Masters of Wisconsin and Texas Association of Dance Teachers. 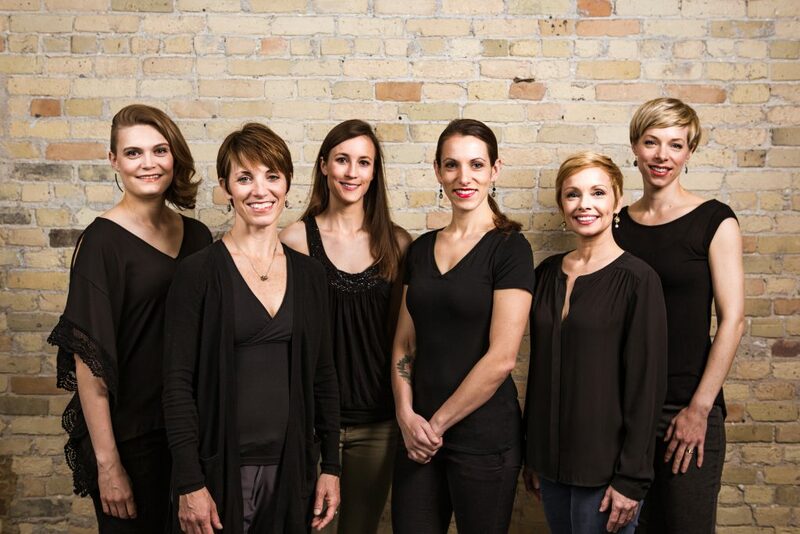 Kim Johnson joined Danceworks Performance Company in 2000, shortly after graduating from UW-Milwaukee with high honors with a BFA in dance. 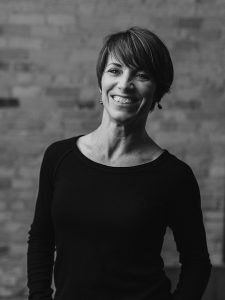 A native “Yooper,” Kim served as Danceworks Performance Company’s associate artistic director from 2009-2012 before taking on the role of artistic manager of both performance and studio. She has created works for Danceworks Performance Company as well as Milwaukee Ballet II. Kim has helped write curriculum for both Danceworks Studio and Milwaukee Ballet School where she served as faculty, branch manager and Children’s Division Coordinator. She has enjoyed growing Danceworks’ dance fitness program and other facets including DanceLAB. She is passionate about bringing dance to the community and providing established and emerging artists with performance opportunities. Because of this commitment, in 2017 she began to serve as the Managing Director. Kim is on faculty at Danceworks and at UW-Milwaukee. 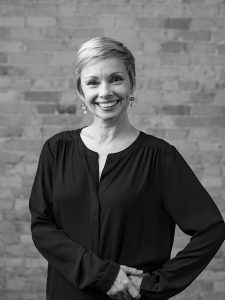 Kim is also on the MKE Dance Theatre Committee and has served as Secretary on the Wisconsin Dance Council Board since 2016. Gina Laurenzi graduated from UW-Milwaukee with a BFA in Dance – Choreography & Performance. 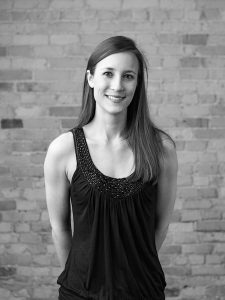 Ms. Laurenzi is in her sixth season with Danceworks Performance Company, serves as the Artistic Manager for Danceworks Youth Performance Company, is a guest choreographer for the Makaroff Youth Ballet (Appleton, WI), an associate lecturer at UWM, and creator of the Gina Laurenzi Dance Project. Ms. Laurenzi previously trained as a Giordano Jazz Dance Chicago scholarship student and under Elements Contemporary Ballet’s artistic director, Michael Gosney. Before beginning her chapter in Milwaukee, Ms. Laurenzi performed with Giordano II, Inaside Chicago Dance, and in Dances from the Hall and Dance Chicago. In 2012, Gina was a movement researcher under Simone Ferro assisting in the creation of her work for the UWM, Milwaukee Ballet and Present Music collaboration, “Falling.” In 2014, Gina worked with Maria Gillespie in the formation of “Toward a Center of Two Things.” Gina has performed in Gillespie’s Hyperlocal, Luc Vanier’s Somatophobia, Rooftop Dances, and in the work of UWM alum Kym McDaniel and Madeline Schoch. 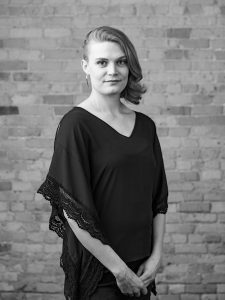 Most recently, she has had the experience working with artists such as Dani Kuepper, Daniel Burkholder and Dawn Springer as a member of Danceworks Performance Company. Laurenzi’s work has been shown in Italy, Prague, and many art venues across Wisconsin, including UW-Parkside, Next Act Theatre, Danceworks Studio Theater and in the Milwaukee Fringe Festival alongside Danceworks colleague Christal Wagner. Liz Licht joined Danceworks Performance Company in 2011 and the studio faculty in 2017 as a 50+ yoga instructor. She has also worked at Danceworks as development and marketing assistant, a Mad Hot Ballroom assistant instructor, and Art to Art production manager. Her other performance credits include Valentín Projects, Skylight Music Theatre, the Gina Laurenzi Dance Project, Cooperative Performance Milwaukee, the Milwaukee Fringe Festival, Wild Space Dance Company, Your Mother Dances, Li Chiao-Ping Dance, and internship performances with the Liz Lerman Dance Exchange. She also studied on full-tuition scholarship at Garth Fagan Dance. Her Dance BFA, Journalism Minor, Honors College Degree, and Dean’s Honors Award are from UW-Milwaukee (2010), where she participated in one summer of the Master of Fine Arts dance program through the Honors College. Liz completed her yoga certification from YogaOne Studio in 2014, after having been introduced to Iyengar yoga at UWM in 2008. She also teaches chair yoga and all-levels vinyasa yoga in Sheboygan. A writing tutor and freelance editor specializing in the genres of somatics, wellness, and spirituality, she previously tutored student through faculty writers across disciplines in the UWM Writing Center. A book she edited, Clearing the Path by Stephen Parker, PsyD, on Patañjali’s Yoga-sūtra, neuroscience, and emotion is available through Ahymsa Publishers. Contact her at www.elizabethlicht.com. 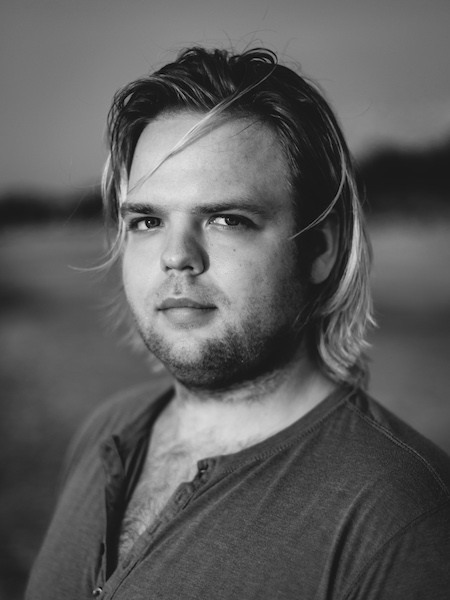 Zach Schorsch (UW-Milwaukee BFA Dance ‘16) is newest member of Danceworks Performance Company. 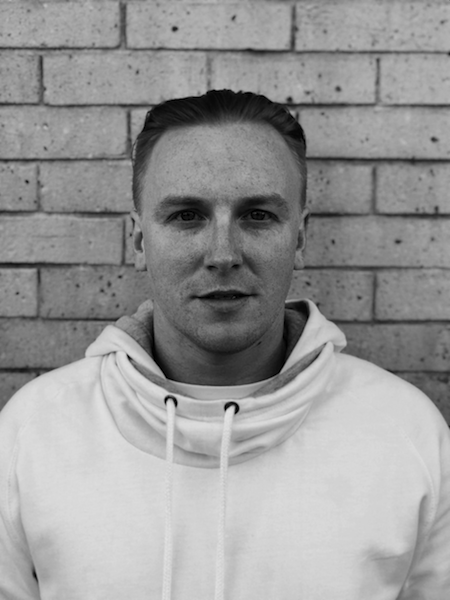 He has appeared with Hyperlocal MKE and has previously danced in the works of Maria Gillespie, Dani Kuepper, Deb Loewen, Joelle Worm and Posy Knight. 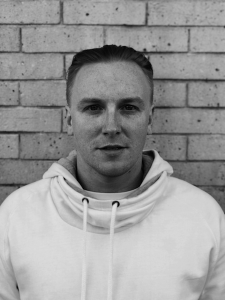 Zach’s choreographic body of work has been presented in Cooperative Performance Milwaukee’s One Act Festival and the Danceworks DanceLAB Get It Out There concert series. Since being awarded a Danceworks Space Grant this spring, Zach continues to collaborate and create within several different creative mediums. Maggie Seer received her BFA in Dance from UW-Milwaukee in 2016. She is a company member with Danceworks Performing Company and Wild Space Dance Company. She performs with Maria Gillespie’s Hyperlocal MKE and has performed with the Gina Laurenzi Dance Project. She has also choreographed several times for the Danceworks DanceLAB Get It Out There concert series. 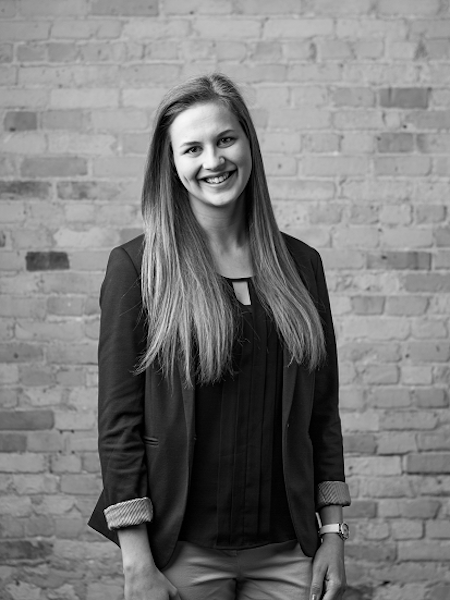 Maggie also writes grants and teaches for Danceworks, and loves exploring the Milwaukee community. Christal Wagner is back for her eighth season with Danceworks Performance Company. She holds a BFA in dance from UW-Milwaukee. Christal has performed with Your Mother Dances and Edwin Olvera, and she has been a featured performer with Present Music. She is also a co-founder of the Milwaukee music and dance trio, Cadance Collective. 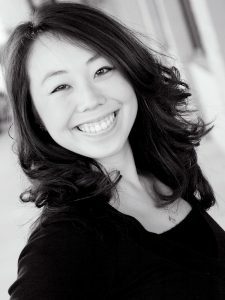 Christal choreographs musical theatre for Shorewood High School, Divine Savior Holy Angels High School, and Community Theatre Works, and she has won two Tommy Awards for outstanding choreography in 2013-2014. Andrew Zanoni is thrilled to be back at it again! After a temporary hiatus from dance, he is more than excited to get back to performing with the wonderful group of artists who make up Danceworks Performance Company. Andrew graduated with a BFA in Dance from UW-Milwaukee in 2010 then moved to NYC where he spent two years dancing with David Parker and The Bang Group. After returning home in 2013 he performed with Danceworks Performance Company for two seasons and now comes back to them once again. Tons of love to my amazing family for always supporting me. Want to see Danceworks Performance Company in action? View their 2018-19 season of performances!